Nigardsbreen Glacier is one of the largest outlet glacier from Jostedalsbreen ice cap. 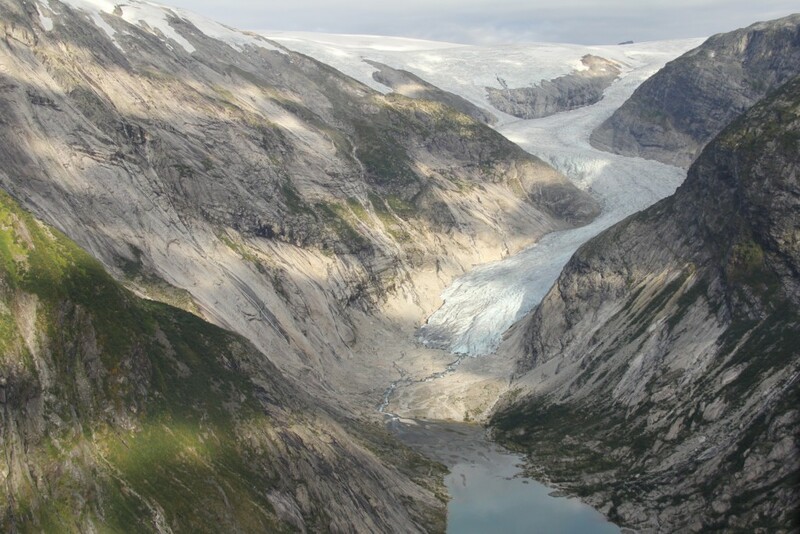 The glacier area is 47 km2, and accounts for approximately 10% of the total area of Jostedalsbreen. Its wide accumulation area discharges into a narrow tongue, both being generally exposed to the south-east. 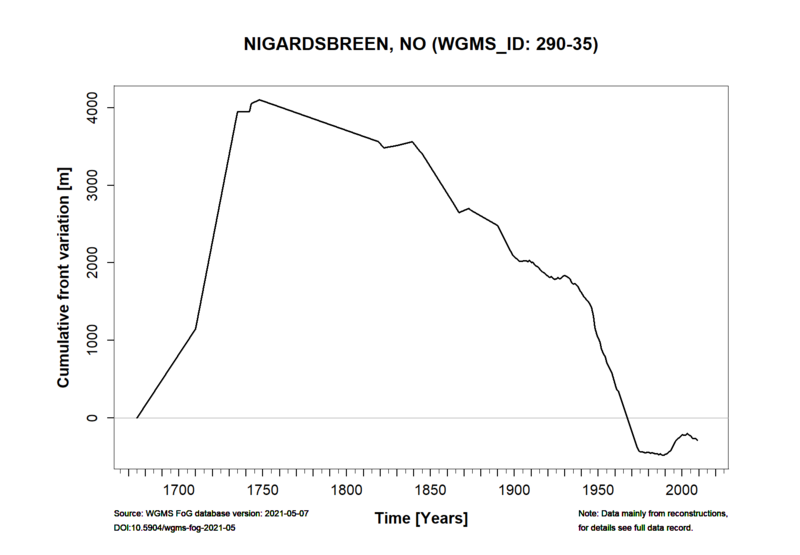 Nigardsbreen Glacier is assumed to be entirely temperate and the periglacial area to be predominantly free of permafrost. 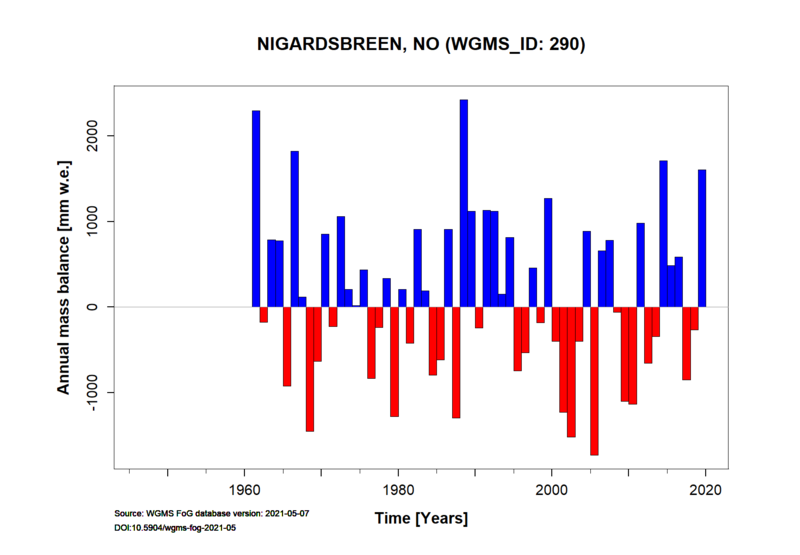 Mass balance observations started in 1962, and length change measurements started in 1899. 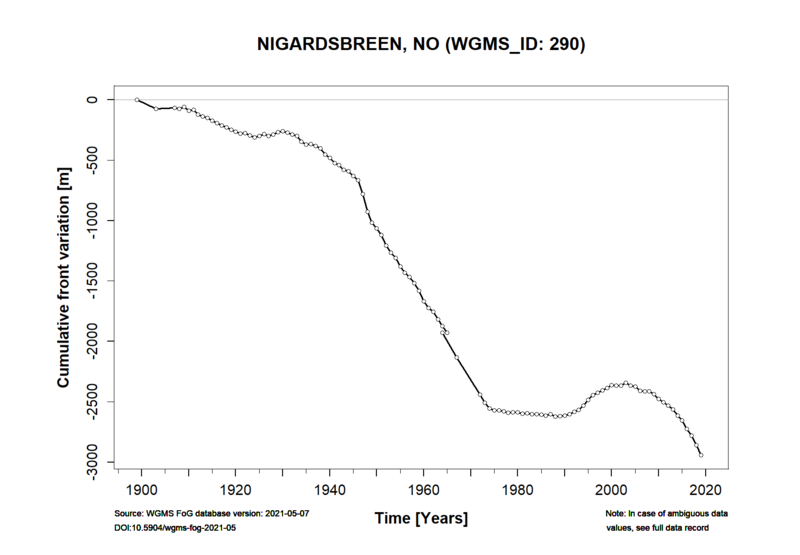 Further information and references for Nigardsbreen is given on NVE’s webpage. Height min: 330 m a.s.l. Height max: 1952 m a.s.l.